WordPress is the worlds most poular way to create a website or blog. WordPress is so popular, over 33% of all websites are built using it. WordPress was initially created with a focus on blogging, but over the years it has matured into a fully featured CMS (content management system). Today, you can use WordPress to build your website and create content, as you please and without having to write any code. WordPress is open source software, which means it is freely available for anyone to edit and modify. This has created a huge community of users, who have created thousands of add-ons (called plugins) so that you can easily add new features to your website. If you are new to WordPress and are not sure where to start, we've created a series to guides to help you get started. 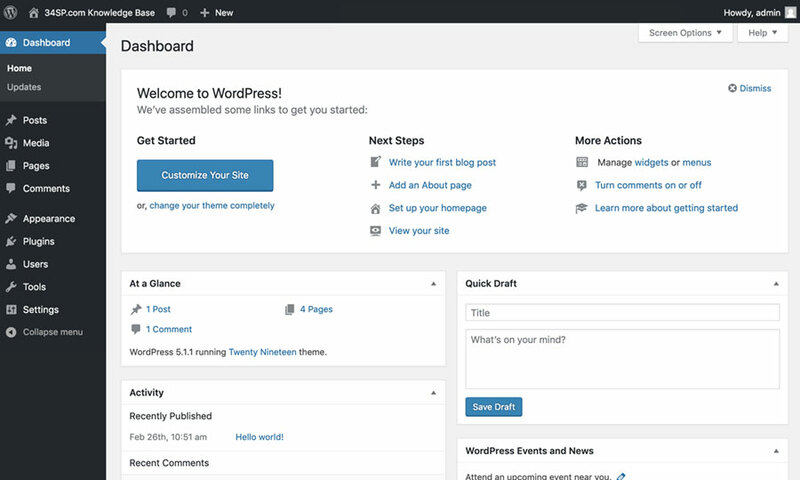 The WordPress dashboard is the control centre for managing your WordPress website. 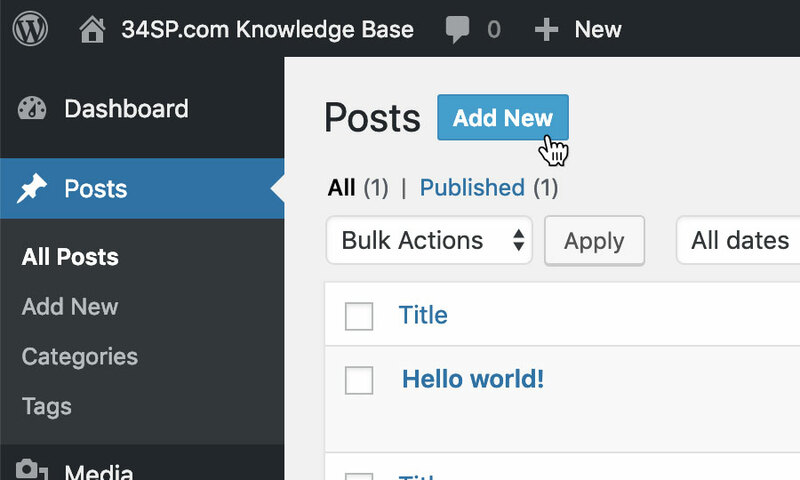 Using the WordPress dashboard, you can create and manage your website's content, add functionality to your site via plugins, change how your website looks via themes and much, much more. Post blogs are generally used as a news feed or for updates on your chosen subject matter and are a great way to keep your website visitors up-to-date with your latest news and goings-on. Pages are used to create static or timeless content on your website, that will not be updated frequently as blog posts. Examples of pages would be an 'About' or 'Contact' page. 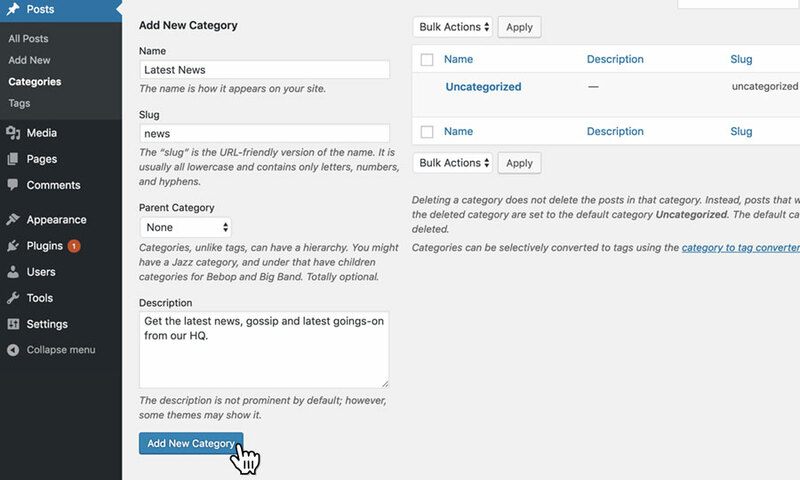 Categories are a great way to organise your blog posts into groups. 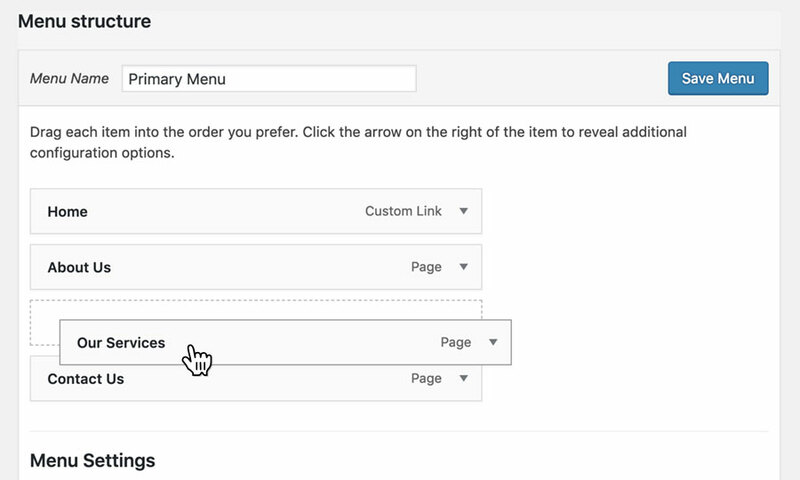 Using categories, you can divide your website's content into different sections. 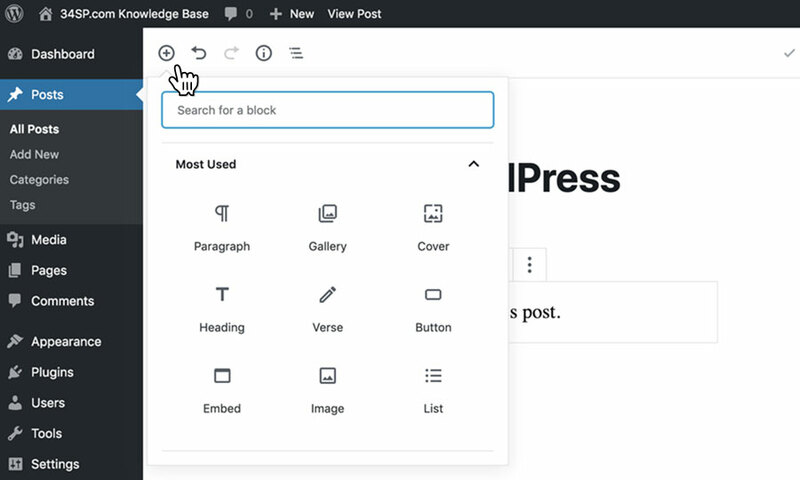 Gutenberg block editor is the interface you use to create content on your WordPress posts or pages. Using Gutenberg block editor, it's easy to create good looking, rich content for either posts or pages - without having to write any code. This guide explains the basics of using the Gutenberg block editor to add content to posts or pages. 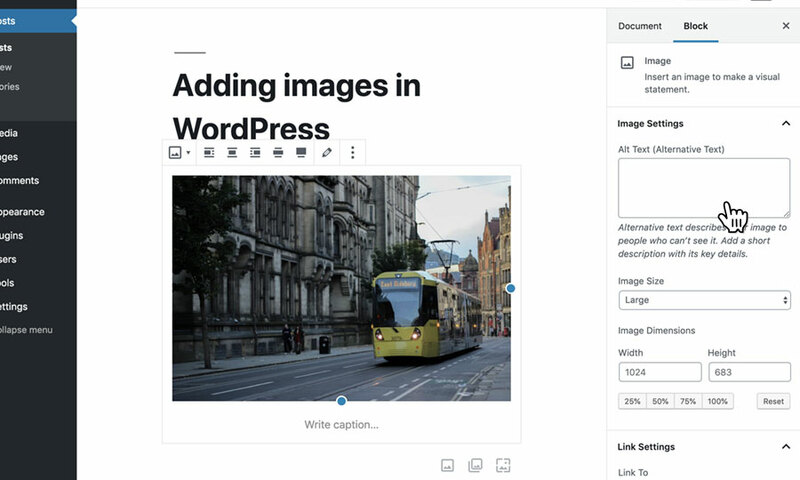 Using the Gutenberg block editor, you can upload images and create image galleries to display on your website's posts and pages. 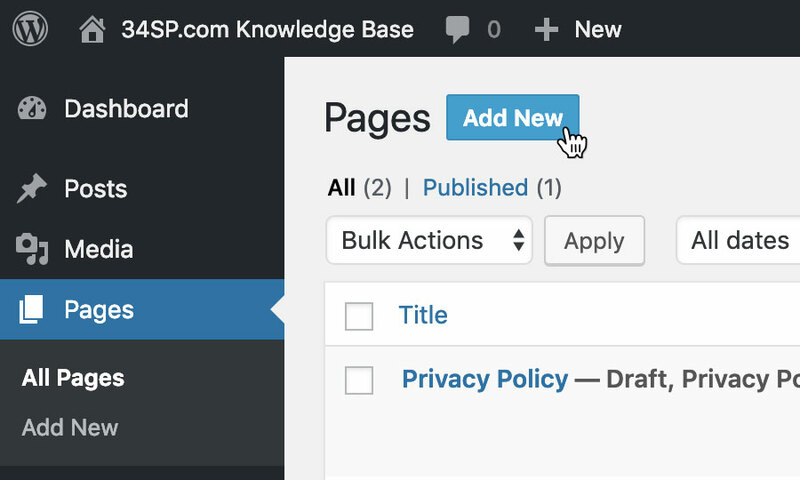 Using the Gutenberg block editor, you can create links and buttons to direct your website visitors to important content. 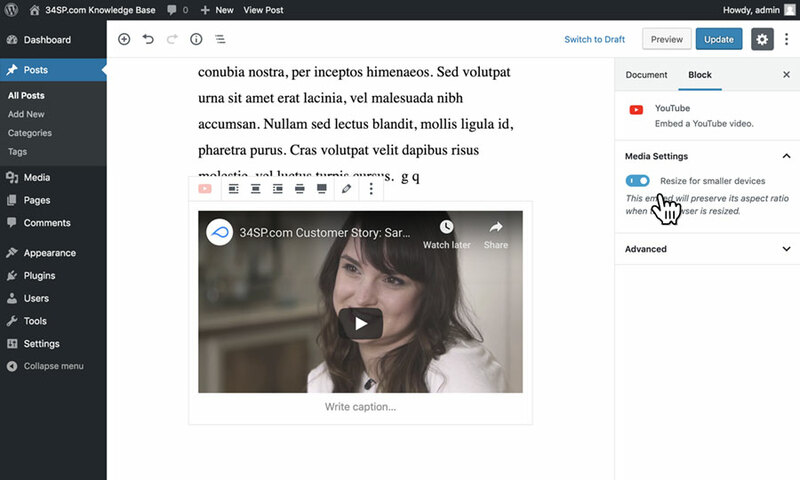 Using the Gutenberg block editor, you can add video & audio files to your website's posts and pages. Additionally, you can also embed content from other platforms, such as Youtube, Twitter, Facebook etc. 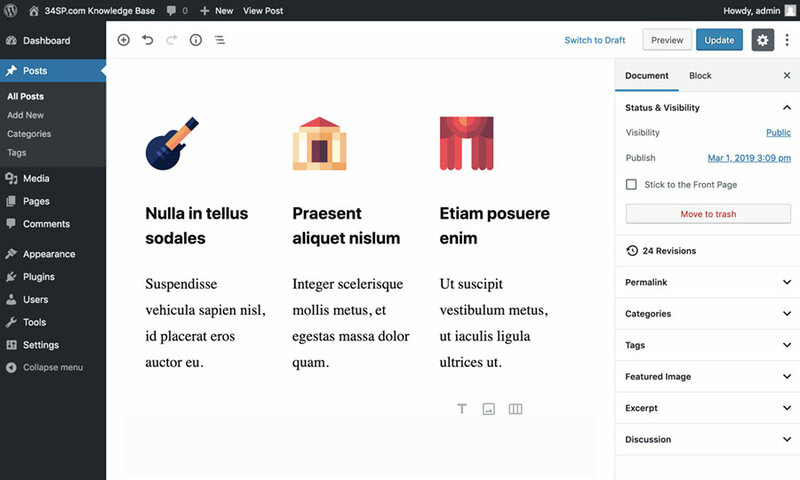 Using the Gutenberg block editor, you can create unique content with custom layouts, including multiple columns and customised separators. With WordPress, you can create and customise your website's navigation to include any links you want. Plugins are bits of code that 'plugin' to your website, and are an easy way to add new functionality to your website without having to write any code. Similar to an app store, there are thousands of free plugins (and some paid ones too) available, so you can easily add a huge variety of different features to your website. Themes are front end interfaces for your WordPress website and are a great way to give your website a professional design without having to write any code yourself. 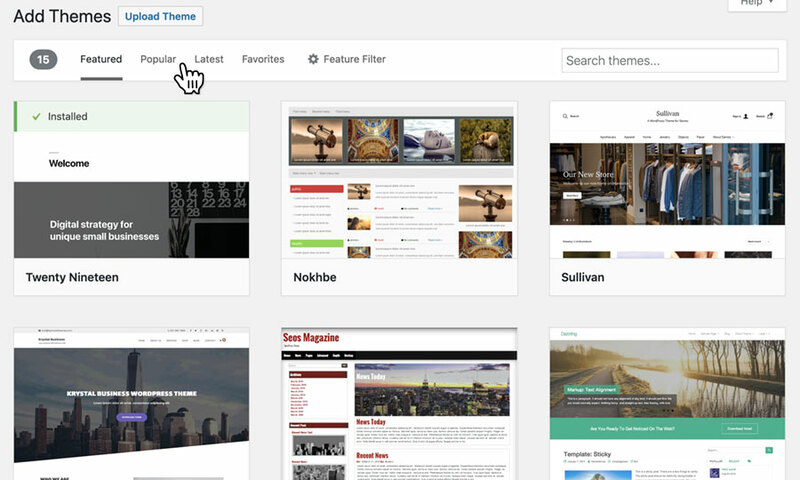 Similar to plugins, there are thousands of free themes (and some paid ones too) for you to choose from.